Disney and Pixar have released a brand new trailer for Toy Story 4. Just days before the Super Bowl, the studio revealed that they were going to reveal a special look at the upcoming sequel after the game and, true to their word, they've dropped it online. It's been a big day for trailers, in addition to football, but this is one of the biggest ones that came our way today as this could very well be the swan song for Buzz and Woody. Prior to this Super Bowl spot, a couple of teaser trailers has been released that didn't reveal too much in the way of plot, but instead introduced us to some of the new characters coming our way this time around. This includes Forky, who is a DIY toy made from a fork, voiced by Tony Hale, and the duo of Ducky and Bunny, as voiced by Keegan-Michael Key and Jordan Peele. We also know that Keanu Reeves is set to voice a brand new character named Duke Kaboom, who will essentially be the toy version of John Wick. In Toy Story 4, Woody, who has always been sure of his place in the world, who makes sure to look after his kid, be it Andy or Bonnie, has his world turned upside down when Bonnie's new craft-project-turned-toy, Forky, declares himself "trash," as opposed to a toy. Woody decides to take it upon himself to show this makeshift toy the ropes. Things get further complicated when Bonnie takes the whole gang on a family road trip, and Woody ends up on a detour that has him crossing paths with his long-lost friend Bo Peep, who has changed quite a bit and come into her own. While Woody and Bo-Beep wrestle with their differences, other events start to unfold that take precedent. We also know that the story will take the toys to a carnival, which has been teased in the marketing previously. Many Disney•Pixar fans felt that 2010's Toy Story 3 was a fitting and perfect end to the franchise. But money talks and, as such, the studio eventually got around to working on this fourth installment. As exciting as the prospect of seeing the beloved toys on screen once again is, this also runs the risk of sullying that would-be perfect conclusion. Several members of the cast, including Tom Hanks and Tim Allen, have hyped up the movie as incredibly emotional. 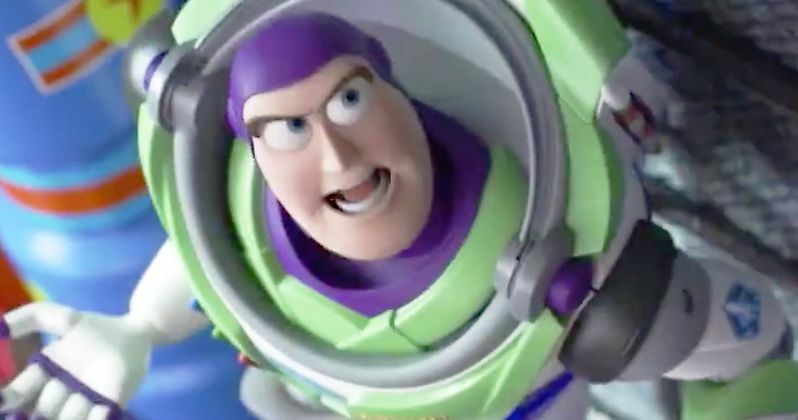 The three previous Toy Story movies have grossed a combined $1.97 billion at the global box office and it's the franchise that turned Pixar into the animation powerhouse that it is today. Longtime Pixar animation guru Josh Cooley is in the director's chair, taking over for John Lassetter, who has since left Pixar after a wave of sexual harassment claims were brought to light. Disney is set to release Toy Story 4 in theaters on June 21. Be sure to check out the new trailer below.